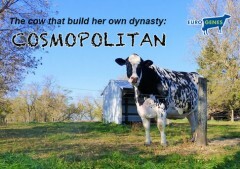 Cosmopolitan, the cow that build her own dynasty! A truly legend in the Holstein breed is Larcrest Cosmpolitan VG-87-USA, a cow that build her own dynasty worldwide! 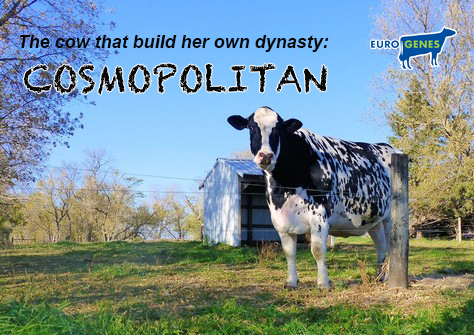 Cosmopolitan got many interest from all over the world when came out that she was the #1 gTPI cow in the United States! This spotty capacitive Shottle daughter delivered over 180 offspring’s all over the world! The most famous is the highest classified Ramos daughter of Cosmopolitan: Larcrest Crimson EX-94-USA. She is the grand dam to Larcrest Commander @ ABS and still in production at Larcrest with currently 55kg Milk a day as an 11-year-old cow! Including these impressive parts made her the Global Cow of the Year 2016. One of the best lines out Crimson is the flush with Observer which brought Larcrest Cale VG-89-USA, she is the dam to Larcrest Cardigan (s. Uno) sold for $400,000 and Canto (s. Supersire) sold for $290,000!! This stunning Observer daughter also delivered the Mogul son Cosmopolis, one of the most popular daughter proven bulls in Japan. In Europa made her Mogul daughter DG Candide VG-85-NL many euphoria. 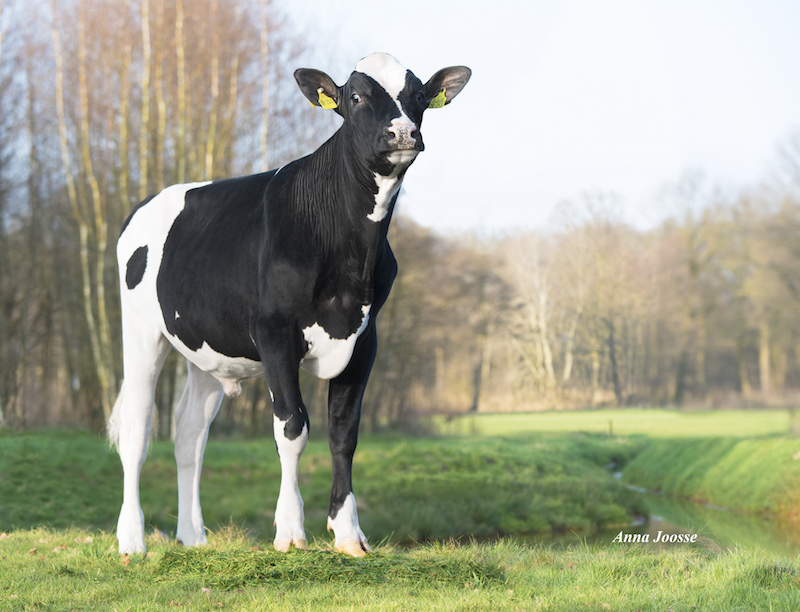 She is the dam to the global sensation: DG Charley, he was the #1 gTPI bull in the World and is nowadays a great transmitter! - The global sensation @ ABS and former #1 gTPI bull worldwide! A full sister to DG Charley is DG Caylee VG-86-NL La1. She was one of the highest Supershot heifers at her age and is currently fresh in her first lactation. She is projected with >10.000 kgM in her first lactation and scored VG-86-NL with a VG-88 Udder! 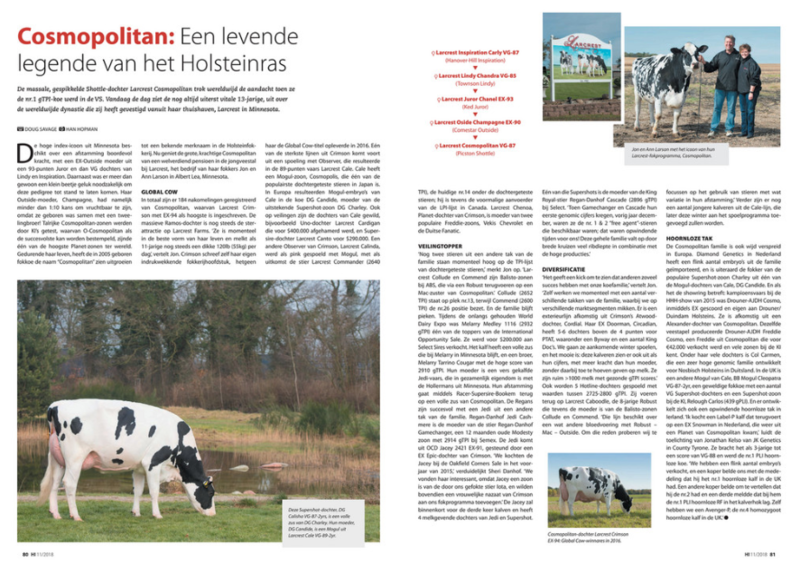 A complete article about Cosmopolitan you’ll find in the November issue of Holstein International.